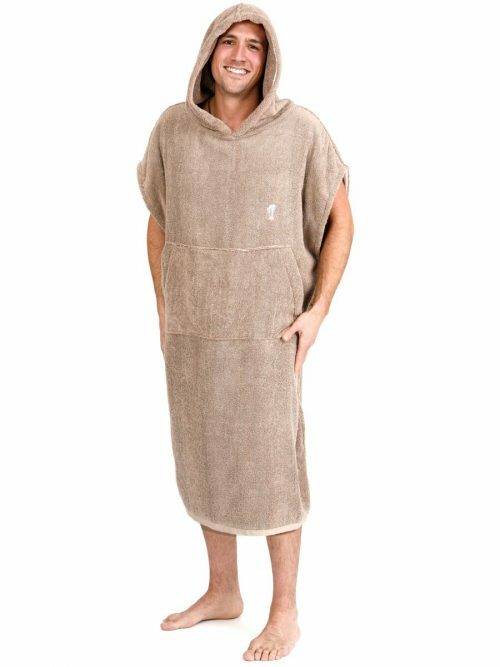 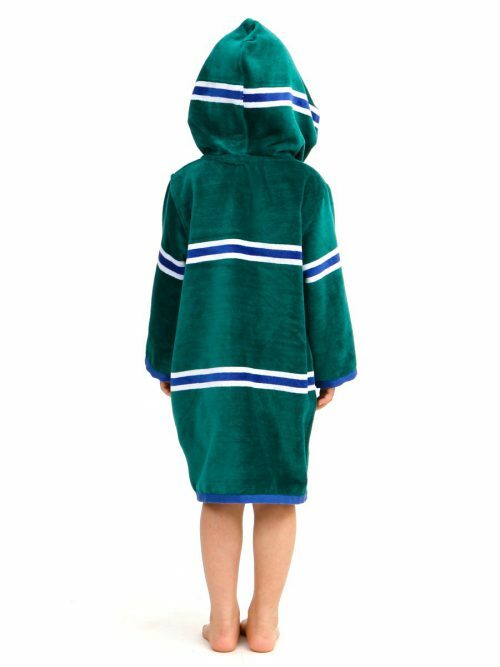 The result is a truly special swim robe. 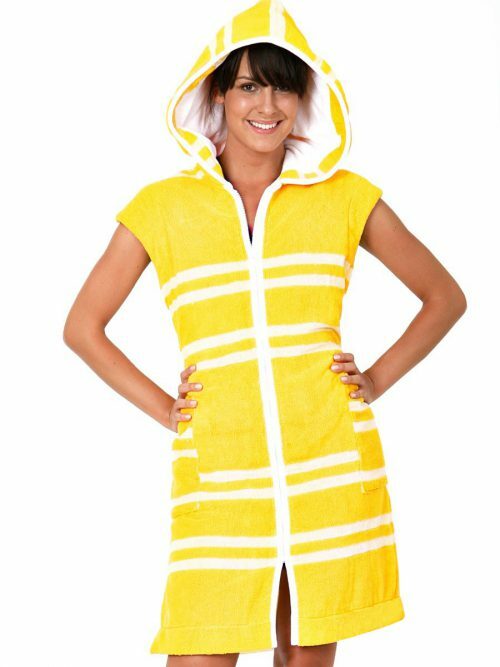 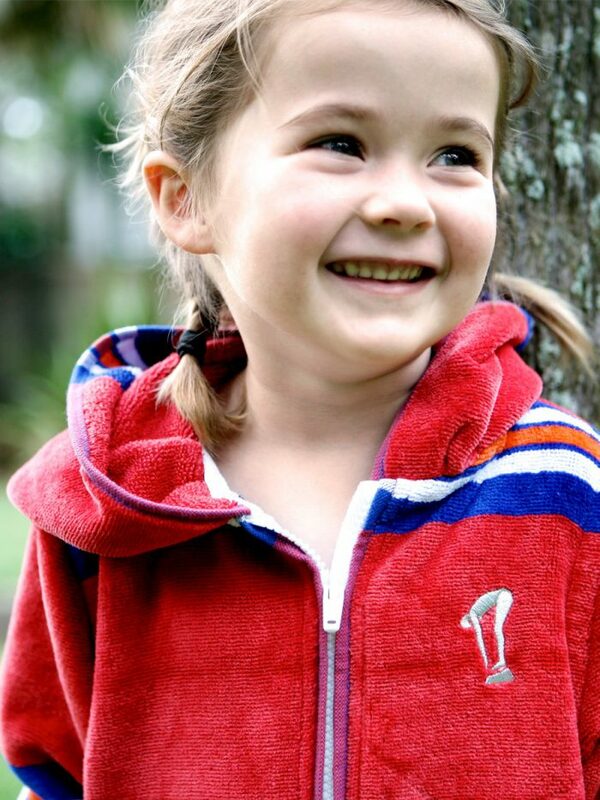 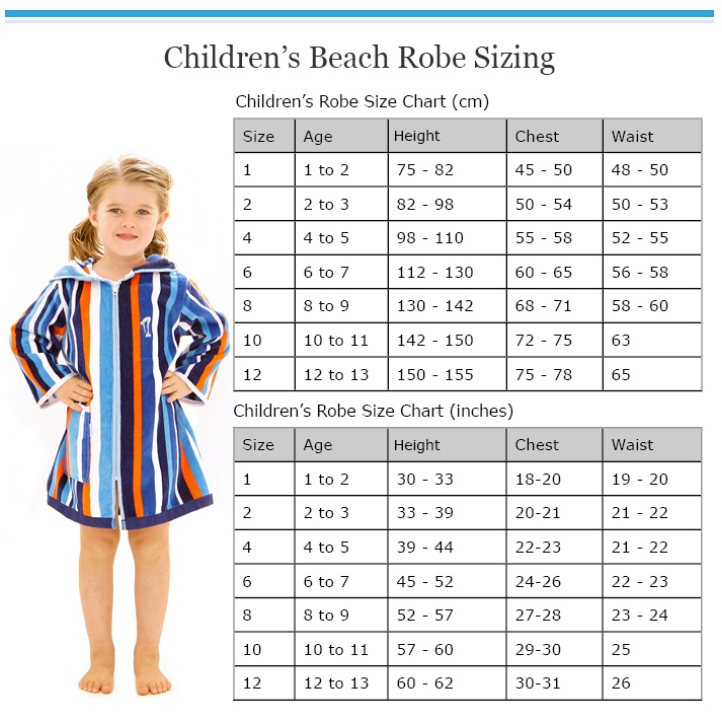 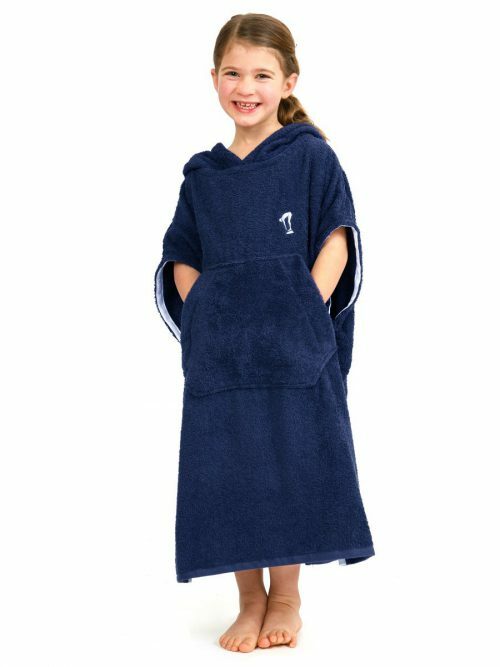 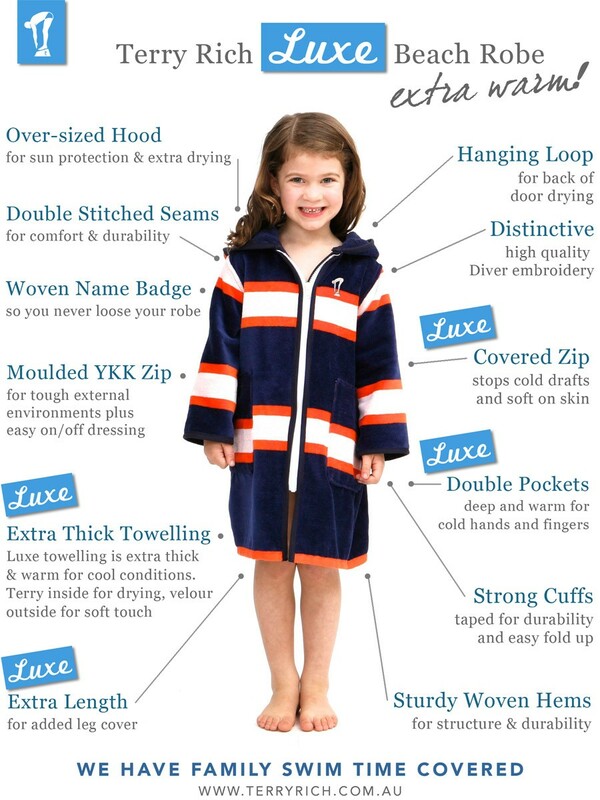 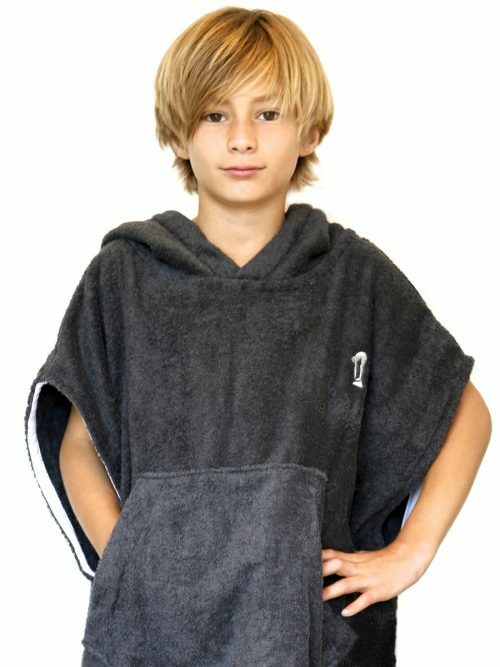 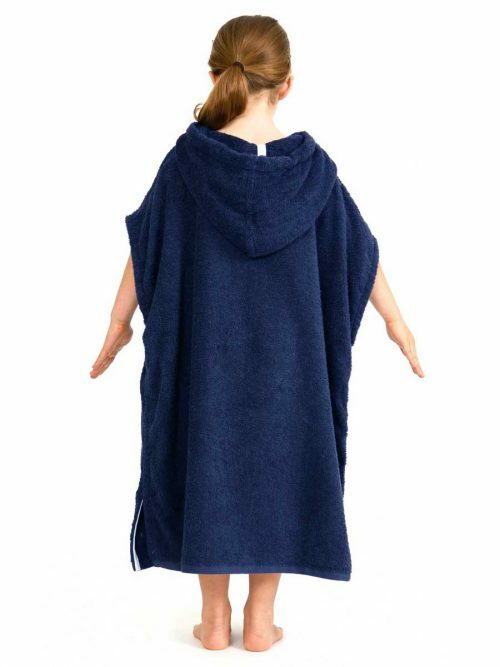 Perfect for a child that feels the cold, if your location is cool out of the water or if you have have evening, afternoon or winter swimming lessons planned. 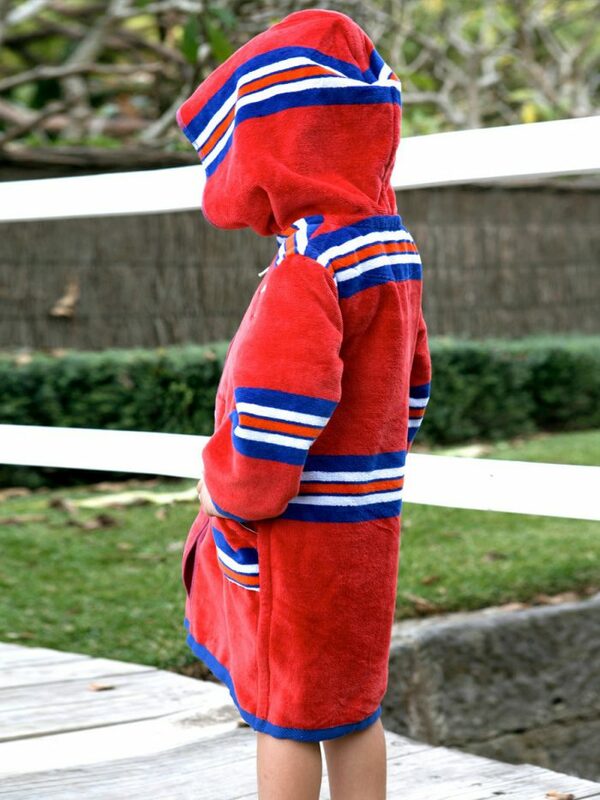 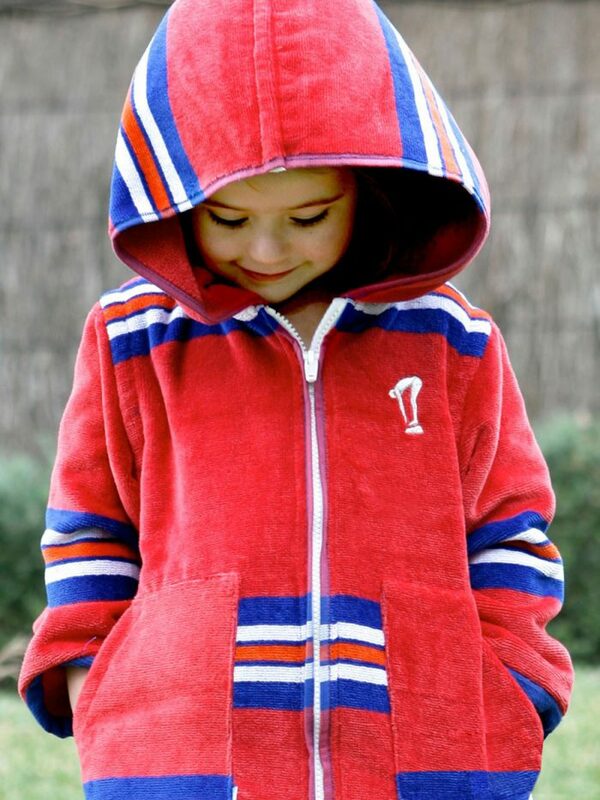 This unisex LUXE Roma Beach & Swim Robe design is in Deep Red with White stripes.